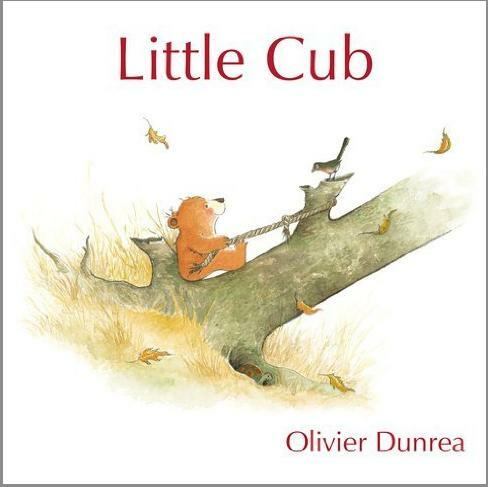 Meet a Felix and Oscar of the feathered variety in this pitch-perfect tale of friends as different as different can be. Roommates (or, rather, coop mates) Jasper and Joop could not be more unalike. 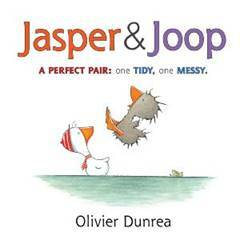 Where Jasper is meticulous and tidy, Joop is carefree and messy. Where Jasper murmurs a disapproving "Muddy mud" or "Dusty straw," Joop will honk a thrilled "MUDDY mud!" or "DUSTY straw!" 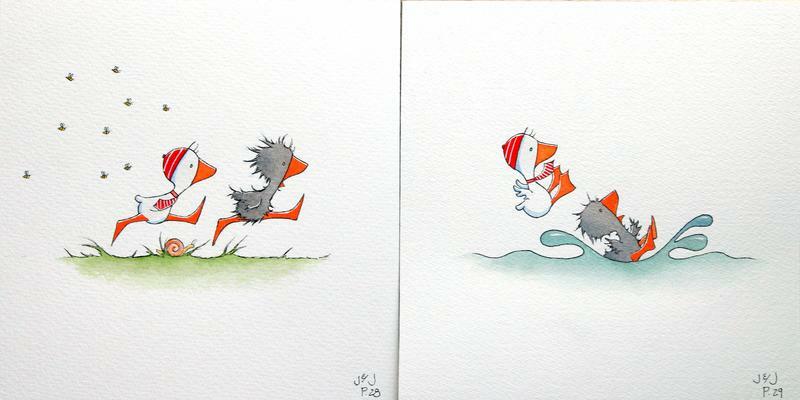 But when Joop goes sticking his beak into a beehive, it's Jasper who has the presence of mind to suggest that they run. Fortunately, even as they escape, Joop is able to show his best friend that sometimes getting dirty and wet can be a lot of fun. Few will be able to resist Jasper in his striped hat and matching tie, though scruffy-feathered Joop is the one kids will identify with the most readily. In Joop, the sheer joy of existence flows readily from the page. His is a life of exploiting pleasure in the here and now. 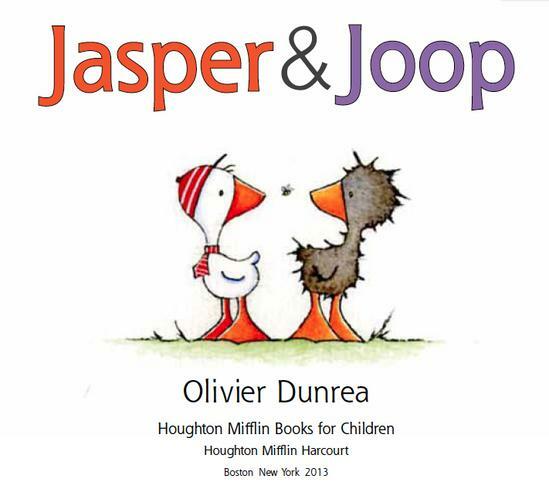 Opposites may attract, but it's clear that Joop's carefree embrace of all things mucky will win the day (and the hearts of Joop-like readers everywhere) in this addition to Dunrea's diminutive gosling series.